Offering you a complete choice of products which include vacuum table, heavy duty steam iron, bottle steam iron, industrial steam iron and portable steam iron. 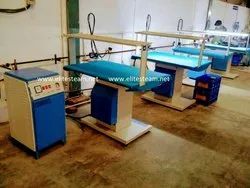 We hold expertise in manufacturer, exporter, wholesaler, trader, importer & supplier of wide range of Ironing Tables is manufactured using premium quality raw materials and advanced production techniques. These products are highly acclaimed in the market for their special attributes, such as robust construction, durable finish standards, and low maintenance. Our valuable client can avail these tables from us at market leading prices. We have to earn our positions towards the leading manufacturer, exporter, wholesaler, trader, importer & supplier of high performing Bakelite Handle Steam Iron for our esteemed clients. Our offered steam iron is highly praised by our clients for their easy operations and low maintenance. 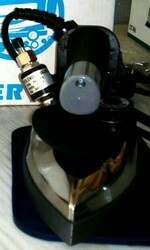 In order to meet maximum clients' satisfaction, this steam iron can be customized in various options. 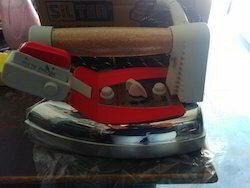 Clients can avail this steam iron from us at industry-leading prices. Amidst our wide range of Irons, we are also engaged in offering a wide range of rugged designed Bottle Steam Irons or Gravity Feed Irons. In order to ensure a quality of these gravity feed irons, our team of experts tests the entire array of various parameters. Apart from this, we provide our entire range in different specifications, in order to meet varied needs of clients. 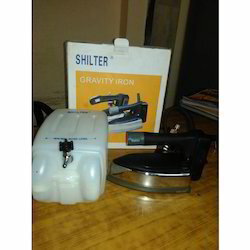 Furthermore, these gravity feed irons are highly acknowledged for their long lasting performance among our clients. Our company is actively devoted towards offering a wide gamut of Industrial Steam Iron. The offered range is manufactured by our dexterous professionals using high-grade raw material and advanced technology. High performance, low consumption of energy, strength and compact designs are some of the features that are highly treasured amongst the clients. Apart from this, we offer our clients a superior range of steam iron that requires minimum maintenance. 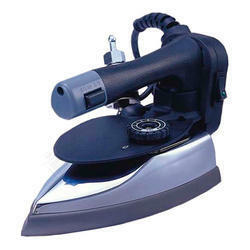 Our enterprise has gained immense recognition in offering quality oriented array of Portable Steam Iron. At our well-equipped manufacturing unit, this iron is manufactured using superior quality components with the help of sophisticated technology in tandem with predefined industry norms. The provided iron is used for pressing clothes. In addition to this, the offered iron passes through numerous checks in order to ensure its smooth functionality.